We’re all too familiar with the idea that the start of a new year can mean the start of a “new you.” An increase in commercials for weight loss or dating sites, gym membership sales, and the popular notion that now is the time to start fresh and meet new goals tend to weigh on our minds. The truth is, staying committed to achieving our resolutions is not easy: “Most studies show resolutions begin to drop off after a week and only about 40% of those who made resolutions actually stick to their goals” http://www.forbes.com/sites/amymorin/2014/12/30/4-ways-to-make-your-new-years-resolutions-stick-in-2015/ . Change is hard. Period. Here’s how therapy can help. One of the reasons why changing a behavior all at once may be difficult, is that we’re not fully ready. Readiness to change a behavior may fluctuate from week to week, or even on a day to day basis. This is especially true when we get hard and fast benefits from a habit. Stopping “cold turkey,” or decreasing habits like smoking, drinking, or overeating may sound like a great idea at the time, but in moments of stress it may feel too hard to give up the very thing that we can count on to help soothe us. On the other hand, if our resolution is to increase a behavior, such as dating or exercising, we may also fall into times where the urge to avoid traps us. This is normal. Decreasing ambivalence is one reason why change may often occur over time, and not all at once. A main goal of therapy is, and should be to help you to feel more ready and willing to make lasting changes. It’s important to draw a distinction between thinking as though you “should” change a behavior, and really wanting to. Many of us feel like we “should” be healthier, feel less stressed, save more money, or fall in love, for example. When we have not yet identified reasons that are meaningful to us as to why we’d like these things to happen, we often won’t have enough willpower to change. Therapy is a process of helping clients to discover what they really want out of life. How will feeling healthier benefit you, personally, or why is working towards falling in love something important to you, for example? 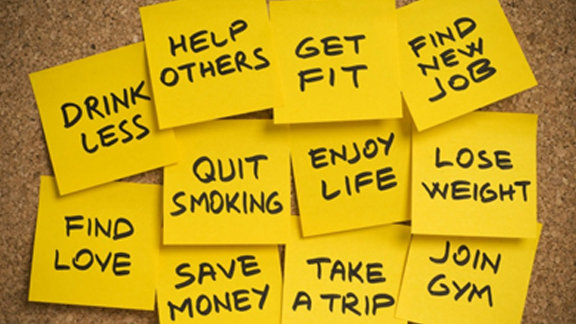 Identifying what’s in it for you can make it easier to work towards a resolution. And, believe it or not, it may take time and exploration to figure those things out. The decision to begin therapy is not always an easy step to make. It takes courage, and is sometimes thought about long and hard before any action is made. In a safe and supportive environment, therapy can help to make changes when we find ourselves stuck, and at a loss. It can also help us to gain hope and confidence that lasting change is in fact possible.